To finish a basement apartment safely includes having a “means of egress” – a building code requirement that calls for an easy escape in the event of an emergency. But don’t look at your window wells as an obligation – think of the opportunities they could offer instead. 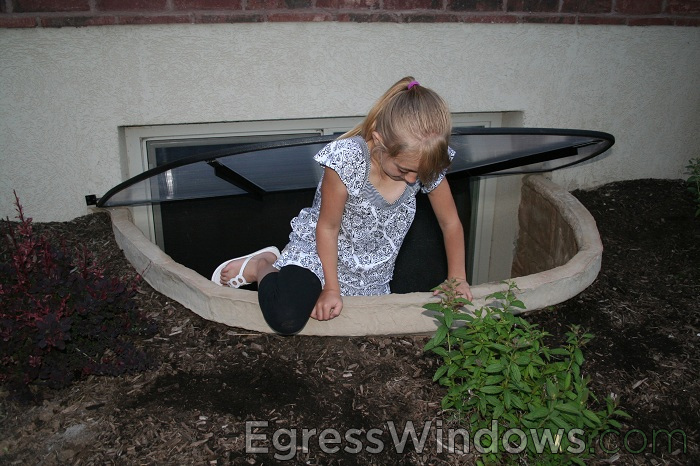 Egress window wells are not just a building code requirement – they offer a number of additional benefits that can help make a basement apartment much more enjoyable. Kitchen: There are a number of advantages to installing a basement window in the kitchen portion of a basement apartment. In addition to adding a natural source of light, the window can be opened to help quickly reduce humidity, and cooking smells. You can even add window boxes to a kitchen window well; to grow your own herbs and ingredients. Bathroom: The bathroom is one of the least intrusive rooms to add a basement window to, and in addition to offering a discrete means of egress, a bathroom basement window can be opened to help eliminate moisture and dampness – common issues in basement bathrooms. Bedroom: There’s nothing like waking up to natural sunlight, and a basement window well in your bedroom can definitely provide that. Especially effective in east-facing bedrooms, the additional natural light makes rooms appear larger and more appealing to renters; and opening a window on a hot summer night is a great way to get a literal “breath of fresh air” without having to add air conditioning. Whichever room you choose to add an egress window to, be sure to take full advantage of all the benefits they offer. While adding an egress window is an important legal requirement – the additional light and ventilation they offer can make the required investment pay for itself in very little time.